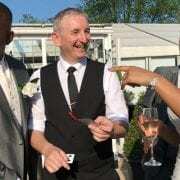 Birmingham Magician Owen Strickland Wins The Wedding Industry Awards 2017 Midland Region. 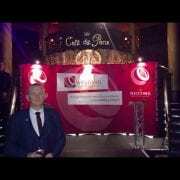 A fabulous eveing at The Wedding Industry Awards 2017 in London, at the Cafe De Paris. 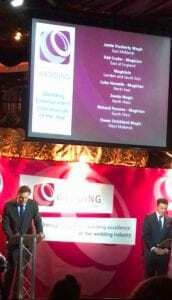 Whilst I didnt win the National Award, I won the Midlands Region which is West Mids, Staffs, Warks, Worcs and Shrops. So I am a very proud boy, and thank you to everyone that the took the time to vote. 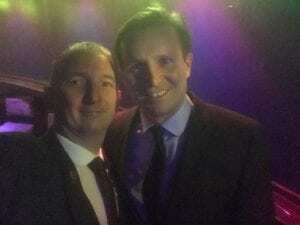 The night was hosted by Roger Black who was a great host! He gave a very inspiring talk about not being born with Natural Talent, as some of his World Champion Team mates had. However he said he had a work ethic that meant he trained harder. This gave him the platform to win. To be involved in such an amazing night was an honour. 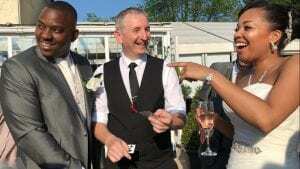 It was definitely the proudest moment so far of my Magic Career. To be amongst so many amazing suppliers was humbling. I now have to decide whether to apply for 2018 and defend my Regional Title! !